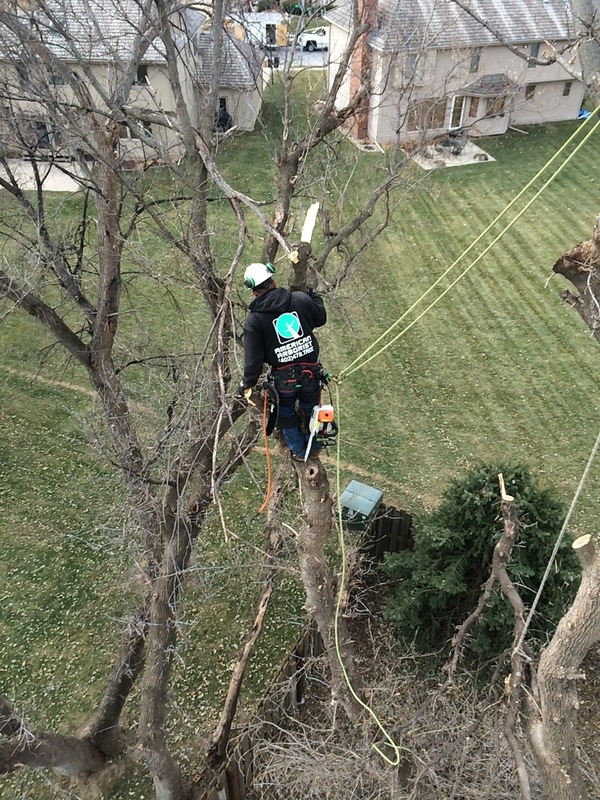 American Arborist removed 5 box elder trees from this back yard. 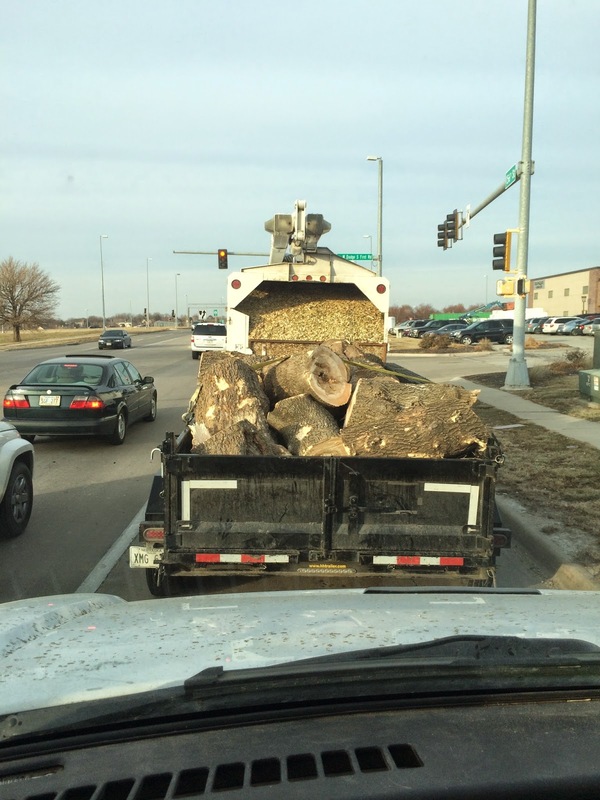 Box elder trees are fine trees if you don't have them planted near anything but the trees will often be standing with lots of rot. They decay to the point they become dangerous and either fall or are very difficult to remove. These 5 were starting to decline. 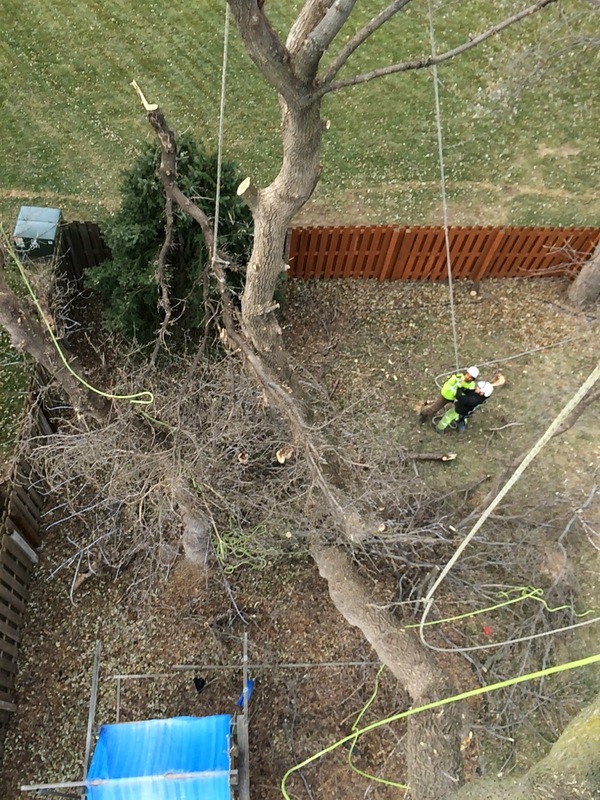 It took 2 climbers all day to get the trees down. Some obstacles included fences, wires, decks, other trees, a play set, and houses. Lots of rope work and skill got them all down safely.